The Alliance 350 is a special line of radial narrow tires for all types of cultivation, harvesting and spraying jobs. 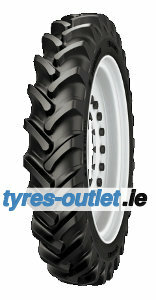 The tire is characterized by round shoulders for soil and crop protection. A tough casing and rigid belt provides all the advantages of radial construction. This tire is used as front wheel in Row Crop applications.